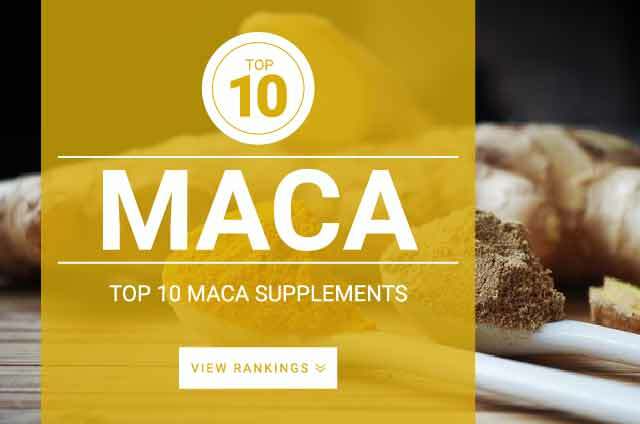 Maca is an adaptogenic super food that increases energy, balances hormones, boosts motivation, stamina, and improves overall health and well being. Contains relatively high amounts of absorb-able plant-based nutrients including protein, fiber, calcium, magnesium, and vitamins B1, B2, B, C, D, and E.
Lepidium meyenii, known commonly as Peruvian Ginseng or Maca. ‘Maca root’ refers to the root of the plant, which resembles a turnip is what is used to make maca supplements and powders. This super-food is a member of the the cruciferous family and is in close relations to cauliflower, cabbage, garden cress, broccoli, and other leafy green vegetables. Consuming maca often makes you feel more “alive.” Similar to the effects caffeine has on your system but without the spike in energy, jitters, anxiety, dehydration and sleeplessness. Maca’s nutrients gradually fuel your body leaving you feeling more energetic. Maca supplements are known for boosting stamina, increasing libido, balancing hormones, reducing anxiety, and fueling your body with protein, fiber, vitamins, magnesium and calcium. Energy – Positively effects energy levels and makes you feel more ‘alive’ and increasing stamina, reducing stress, fatigue, and tiredness. Improves Cognitive Ability – Improves your ability to focus and heightens your drive and motivation. Libido – Maca is a powerful adaptogenic. Improving sexual function and desire. Superfood – Maca is not so much a supplement as it is a nutrient dense super food that is packed with nutrients that everyone can benefit from. Maca root is typically sold in health food stores or supplement shops as loose powder usually in a container or glass jar, in capsules, or as extracts. Most studies done on maca involve using dried maca root in powdered form or in capsule form. Maca is considered to be a super food because it contains protein,fat, fiber, and essential minerals including iron, magnesium, potassium, copper, zinc, selenium, and phosphorus. Due to its naturally powerful nutrient dense properties, recent studies show that maca can improve libido in healthy men and women. Maca improves libidio without influencing sexual hormones such as testosterone. Maca can be found in four different variations red, black, cream, and purple maca; studies show that none of these are more superior to any other. Maca has the texture of a turnip, and belongs to the broccoli family. Very rich in vital nutrients that aid the body in detoxification and growth. 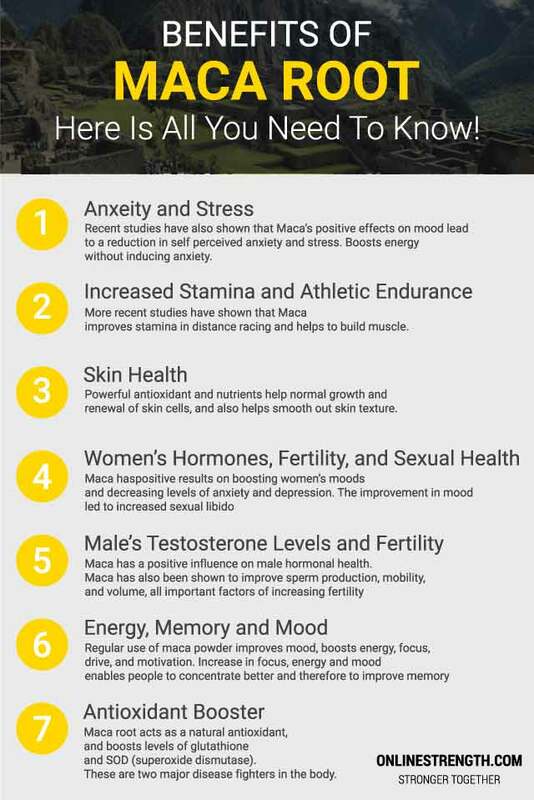 Maca has been shown to have a positive influence on sexual desire, dysfunction, and mood in men and women. Regular use of maca has been shown to help reduce anxiety and depression in both men and women. Supplementing maca is a great way to bring in more healthy nutrients, vitamins, and minerals into your diet. According to clinical research studies daily dosages of maca are between 500 mg and 3,500 mg of maca root powder. For best results take 500 to 1,000 mg three times per day for a total of 1,500 mg – 3,000 mg of dried maca root daily. Supplementation of maca is shown to be most effective in its powered form either as loose powder or in capsule form. Maca powder can be mixed into smoothies, water, juice, or any beverage of your choice. The powder is somewhat sweet tasting but has a slight burnt and malty taste to it. Similar to cinnamon. Choosing a maca supplement in capsule form can make supplementation easier for users who prefer not to drink maca powder.